Joints are important in providing support for the whole human body and for various kinds of movement. Any kind of damage, injury or disease of the joint causes a lot of pain. The range of pain varies so much. In some cases, the pain is not so bad (or just irritating) and can be quickly alleviated by over-the-counter medicines like Methylsulfonylmethane (MSM). But in some other instances, joint pain can be so severe that a person cannot properly move; there are even kinds of joint pains that cause swelling and do not go away for weeks (or even months). The number one joint that people complain about is the knees, followed by the shoulder, and then the hips. Chronic pain affects normal functioning, even on an everyday basis. People who experience joint pain do not only find it difficult to move the particular joint that hurts, but the pain also hinders them from performing well at work, in school or in anything that they do. No kind of chronic joint pain has been ever too small to not be worried about. One of the known supplements used to alleviate joint pain is Methylsulfonylmethane or MSM. MSM naturally occurs in plants, animals and even human beings. It is also produced in the laboratory and used to treat various kinds of chronic pain. It is also known by several other names such as Sulfonyl Sulfur, Crystalline DMSO, Sulfonylbismethane, DMSO2 and Methyl Sulfone. Oral administration of MSM is said to be effective for treating osteoarthritis, joint inflammation (especially of the knees), bursitis, rheumatoid arthritis, osteoporosis, tendonitis, tenosynovitis, muscle cramps and musculoskeletal pain. MSM is said to work by supplying sulphur to the body to aid in the production of other chemicals necessary to reduce pain and swelling. The recommended oral dosage of MSM is 500 mg to 3 grams twice daily. Other forms of MSM for topical or nasal administration have varying dosages depending on the target symptom. Aside from joint pain, MSM is also said to be good in reducing allergies, premenstrual syndrome (PMS), hay fever, eye swelling, and digestive and stomach issues (constipation, ulcers, diverticulosis). Other uses of MSM include the treatment of liver and lung issues, lupus, type II diabetes, and chronic fatigue syndrome. 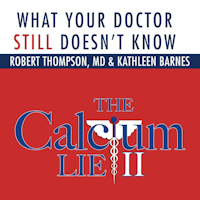 There is not much evidence from clinical trials or scientific publications about MSM, but a book by Drs. Stanley Jacob and Ronald Lawrence called The Miracle of MSM: The Natural Solution for Pain goes into detail about MSM and explains what makes it natural, free from side effects, and effective for various kinds of pain. From the many reviews available online, it appears that MSM is quite easy to use, and is effective, especially for different kinds of acute and chronic joint pains. Of course, as with other medicines and supplements, it is important to note that MSM is not for pregnant and lactating women and is recommended to be taken under a physician’s advice.